In Funny Girl, a collection of middle-grade stories by funny, female authors, there is a lot of talk indentifying humor as a super power. As someone who dreams of making milk come out of readers’ noses*, I couldn’t agree more. Many women have already embraced this power, as editor Betsy Bird knew when she contacted 25 women for the anthology in the first place. But women with super powers are often overlooked (see: Wonder Woman’s stint as JSA secretary. Or practically any woman in politics). We see recommendations for funny books with nary a woman’s name on the list. Heck, we see recommendations with lists that are 42 percent Jeff Kinney. Last week, as an experiment, I tried a simple Google search for “funny kids books.” You can try it, too. (Granted, Google isn’t a respected librarian, but the algorithms create a fair representation of what I’ve encountered elsewhere.) For me, the resulting list was 46 titles, 24 percent by female authors. Authors of color — of any gender — were utterly lacking. Yet their stories are out there and taking notice of that is important. “Humor is the grease that gets us through life,” the very funny Wendy Shang told the very funny Marjorie Ingall recently, during a serious moment. We need humor and the laughter that accompanies it. Even the Mayo Clinic says so. Which is why I wanted to use this space, during March, when we’re highlighting contributions of women, to lift up some funny female writers with a focus on middle grade and to give them a place at the table, a place on a list. Women are funny. Including them in your recommendations sends a message to the next generation of would-be female authors that they can be funny, too. They can be anything. And when women aren’t included? That sends a message, too. Cece Bell is one of the funniest people I know in real life, so it makes sense that she would be funny in writing-and-drawing life, too. Shoutouts to El Deafo, Bee-Wigged and I Yam a Donkey. I recently got the sneakiest peek at an easy reader Bell has coming out in 2019. Kiddos learning to read in 2019: You are some lucky ducks. A sample from the middle-grade El Deafo, when Bell narrates the benefits of her phonic ear: Best — or worst — of all, I can even hear Mrs. Lufton when she USES THE BATHROOM. “I was breaking a world record,” I say, wiping my head with a towel. “The vacuum cleaner,” said Mrs. Tickham. Together they stared at the Ulysses 2000X, and at the squirrel who was holding it over his head with one paw. Firoozeh Dumas: If I had written a book on humor writing that contained a section called Beyond Fart Jokes: Next Level Humor, I’d use that chapter to dissect It Ain’t So Awful Falafel, Dumas’ book about an Iranian family adjusting to life in America. The text has lines that make me laugh and tear up at the same time — laugh because they’re funny; tear up for the raw truth beneath them. Celia C. Perez: Something new: One of the things I love about The First Rule of Punk, which hits my humorous-school-based-story sweet spot, is the dialogue. Here is a simple exchange between Malú and Joe, who met when Malú ended up seeing the guidance counselor over a wardrobe malfunction of her own devising. Now they are meeting for the second time. Setting: A coffee shop, where Joe is failing to make the foam in a latte look like a tulip. How about Sarah Albee (POOP HAPPENED: A History of the World from the Bottom Up, POISON: Deadly Deeds, Perilous Professions, and Murderous Medicines) Mary Amato (Riot Brothers) Caroline Carlson (The World’s Greatest Detective) Roshani Chokshi (Aru Shah and the End of Time) Jenni Holm (Baby Mouse et al) Amy Ignatow (The Popularity Papers) Dana Alison Levy (The Misadventures of the Family Fletcher) Lenore Look (Alvin Ho et al.) The Entire Lumberjanes Crew (The Lumberjanes) Erica Perl (The Capybara Conspiracy et al) Olugbemesola Rhuday-Perkovich (8th Grade Super Zero) Kara LaReau (Bland Sisters/Infamous Ratsos) Rachel Renee Russel (Dork Diaries) Arigon Starr (Super Indian) or Raina Telgemeier (everything)? The danger of starting a post like this is in leaving so many funny women out, which means it’s your turn. In the comments, please add more funny women and the age group they write for. (I wrote this before reading Dill Werner’s illuminating piece on how to be more gender inclusive. If you have a favorite funny under-represented author who would expand this list in a gender-inclusive way, please mention them.) I’ll add the names, and when we’re done, we’ll have another resource for parents, guardians, librarians, panel coordinators and — most importantly — for kids. So tell me: Who makes you laugh? We’re celebrating Women’s History month with 31 days of posts focused on improving the climate for social and gender equality in the children’s and teens’ literature community. 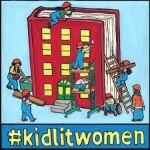 Join in the conversation on Facebook https://www.facebook.com/kidlitwomen or Twitter #kidlitwomen. Thanks to Grace Lin and Karen Blumenthal for getting things started, and to all posters for opening eyes and minds. This post from Jane Kurtz as part of #kidlitwomen month, with a focus on picture books. Joyce Wan’s Pinterest page of female illustrators is a great resource that includes loads of funny. Marcie Colleen and Audrey Vernick talk funny (and about funny) in this round-table discussion with their literary agents. This post from Betsy Bird the week Funny Girl came out. And this post, which offers suggestions for adult lit, mainly. It’s not all women but I’m including it because it started with a woman (Maria Semple) and one of the threads includes YA by Goldy Moldavsky and Anna Breslaw. *I really have dreamed of making milk come out of readers’ noses. I once wrote a book (with Mary Crockett) for which I studied dream interpretation, so I looked up the milk thing right away. 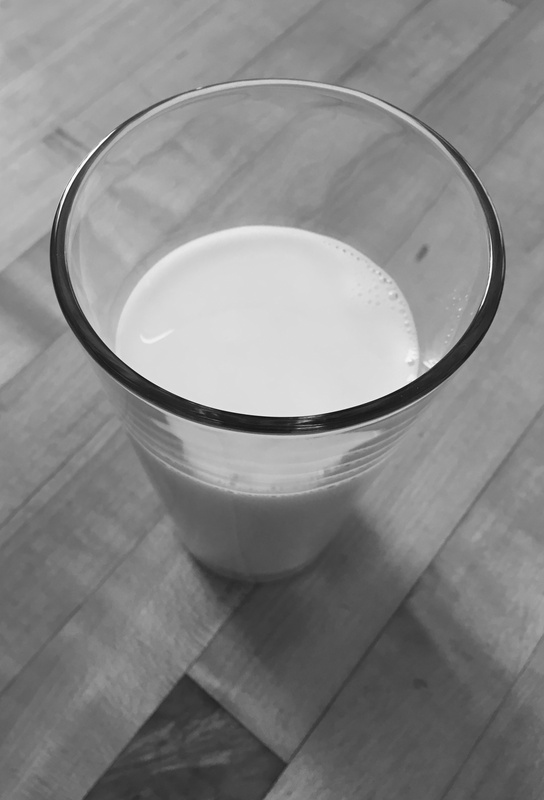 I found several entries on the meaning of milk (I’m doing something that will make me stronger! I am innocent and pure! And if I’d dreamed I was bathing in milk, it would have meant I was financially comfortable.) No entries for milk spewing from nostrils, however, so I will just have to take it at face value. This entry was posted in #kidlitwomen, humor. Bookmark the permalink. I realize that some of the comments for this post with suggestions have appeared in other forums, such as FB or Twitter, so wanted to add those suggestions in this space. The Clementine books by Sarah Pennypacker! Ame Dyckman’s picture books! Margie Palatini’s books! Kara LaReau’s Ugly Fish! Thanks for sharing those!! Even the name Bonnie Bumble is funny! I’m a big fan of Phyllis Root’s picture books, including Mrs. Potter’s Pig, the Aunt Nancy series, the Giggle Book series of the days of the week featuring the adventures of Bonnie Bumble, and so many more, all home-spun and plain funny. Love all of those, Tony, thanks for mentioning! And yes, I neglected the BCDs of my kidlit childhood: Judy Blume, Beverly Cleary and Paula Danziger! Beverley Cleary! Ramona Q still cracks me up, and I’ve read them a dozen times each. Talk about your egg on the head moments, what a nuisance! Every year I re-read Barbara Robinson’s The Best Christmas Pageant Ever, those Herdmans, despite being the worst children in the history of the world, make me laugh out loud. And in Stanford Wong Flunks Big Time, Stanford is smitten with Emily Ebbers when she burps “Stanford Wong” out loud. In my Guys Read book club, they thought this was great–and promptly started belching all sorts of names, complete sentences even. Look what you started, Lisa Yee! Visit Madelyn Rosenberg Books on Facebook.